From the archives (2010). A combined approach to dairy herd nutrition and milk testing promises dairy products with a better balance of saturated and unsaturated fats. As well as health benefits for consumers, it can give spin-off advantages for product quality, dairy efficiency and the environment. Most shoppers know that fat content in food is something to watch out for, but now health-conscious consumers must be aware of another danger lurking on the supermarket shelves – saturated fat. While fat is an essential part of the diet, too much saturated fat can lead to high levels of harmful cholesterol in the blood which, in turn, increases the risk of coronary heart disease. One organisation trying to do something about the saturated fats issue is the UK Food Standards Agency (FSA). Having launched a major communication campaign in 2009 the FSA is now conducting a follow-up with TV ads and posters aiming to educate consumers about what and what not to eat. Dairy products are an obvious target for such campaigns due to their high content of saturated fat, for instance, in the UK, dairy products contribute 30 – 40% of saturated fat consumption. Any way to reduce this level can therefore have a significant impact on health over time, not too mention healthcare costs which, according to the British Heart Foundation, are currently around €192 billion for European healthcare. As the TV ads showing fat clogging up drains try to shock UK consumers into action, the dairy industry is approaching the issue from another angle - by aiming to achieve a healthier balance of saturated fat content in products before they reach the shops. It all starts on the farm by adjusting feed for dairy herds to influence the ratio of saturated and unsaturated fat content. The milk is then tested regularly to monitor levels of saturated fats before it enters dairy production. Using modern testing equipment, milk can be tested for its fatty acid profile based on the balance of saturated and unsaturated fat. This profile can be used as a payment parameter alongside routine tests for parameters such as protein and general fat content. Dairy farmers whose milk does not match the ideal profile can then take action by adjusting the feed for their cows, for example, feeding based on more traditional grass grazing and less corn has been found to reduce levels of saturated fats. In the Netherlands, around 400 farmers have been involved in a scheme to provide milk with a specific fatty acid profile for several years. The milk is subsequently used in products containing higher levels of healthier omega-3 and CLA fatty acids, which the manufacturer is naturally not shy about promoting. In line with this scheme, a project is now underway in the UK to test milk for saturated fats in bulk milk deliveries. 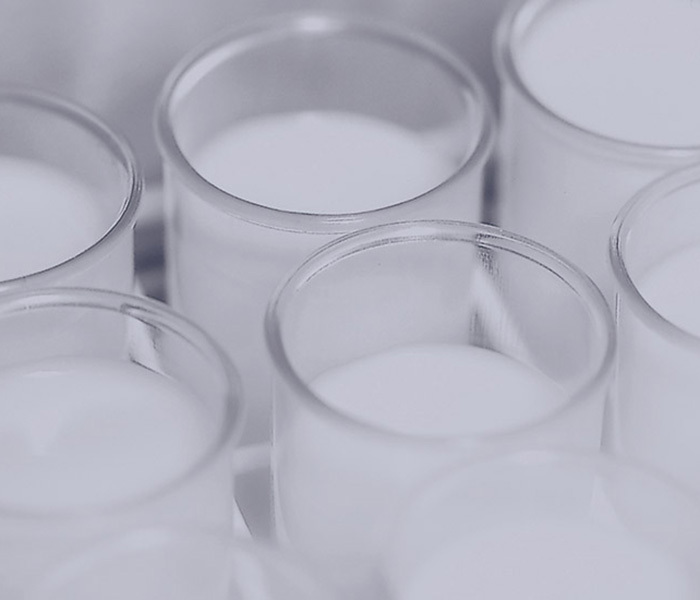 The project is being run by National Milk Laboratories (NML) UK – a central milk testing laboratory service handling around 90% of the UK milk payment testing requirements. Speaking at an international conference on central milk testing held by FOSS at the end of last year, NML Director, Ben Bartlett describes how cross-industry collaboration, including FOSS and the University of Reading, is vital in the ongoing work to assemble the right industry solution. Elements include equipment and calibrations, feedstuff trials, manufacturing approaches and a communication campaign aimed at farmers. Premiums can provide an obvious incentive for farmers to join a nutrition scheme, but experience from France shows that this may be unnecessary as many farmers are recognising the overall benefits of the new nutrition programmes. “Some milk purchasers offer a premium, but others don’t because the farmers themselves are recognising that the cow health and reproduction benefits more than outweigh the cost of engaging in the nutritional program to reduce saturates,” says Bartlett. Weill has had the opportunity to study trends in saturated fat composition of milk over the last 20 years through working with the ‘Bleu Blanc Coeur’ cooperative organisation, which aims to improve food by influencing farming practices. This has led to many interesting conclusions about how getting the balance right can have a beneficial effect throughout the supply chain. For instance, if the saturated fat composition is reduced, it reduces the melting point of products such as butter and cheese, making them easier to spread. From consumer trials, it appears that people also prefer the taste and texture of products – a fact well known from the alpine regions where there is a traditional preference for products made from milk produced by cows grazing on the summer alpine pastures. Momentum behind the concept of controlling saturated fats at source is building through official support for organisations like Bleu-Blanc-Coeur. And in 2009, the health claims for products produced with reduced levels of saturated fats were officially approved by European authorities. Meanwhile, a cross-industry advisory board has been established by FOSS to pool information about how to set up instruments and to share experiences from existing nutrition and testing schemes. This ongoing attack on saturated fats at source is welcomed by the UK independent consumer watchdog organisation, Which?. Sue Davies, Chief Policy Adviser for Which? says: “We think it’s really important that there’s transparency about levels of fat and saturated fat in foods, but that manufacturers, retailers and caterers also work to reduce levels of them where possible.” However, distinguishing fat through labelling remains important. “There’s often a lot of ‘hidden’ saturated fat in products and so we would like all manufacturers and retailers to consistently use the front of pack nutrition labelling scheme, including traffic light colours, so it is very clear whether or not a product is high, medium or low in fat, saturated fat, sugar or salt,” she says. A two-pronged approach of Dairy herd nutrition and milk testing schemes on the one hand, combined with more information for consumers on the other, can provide a double-edged sword in cutting down levels of saturated fat consumption. After all, most consumers are aware of the need to make healthy choices, but first there must be more guidance for them to know what to look out for while negotiating the supermarket shelves. And, above all, there must be healthy choices to make. The level of saturated and unsaturated fats in milk can be quantified using Fourier Transform Infrared technology as used in routine milk testers the world over. Calibrations are available for total unsaturated fatty acids, saturate fatty acids, mono-unsaturated and poly-unsaturated fatty acids.